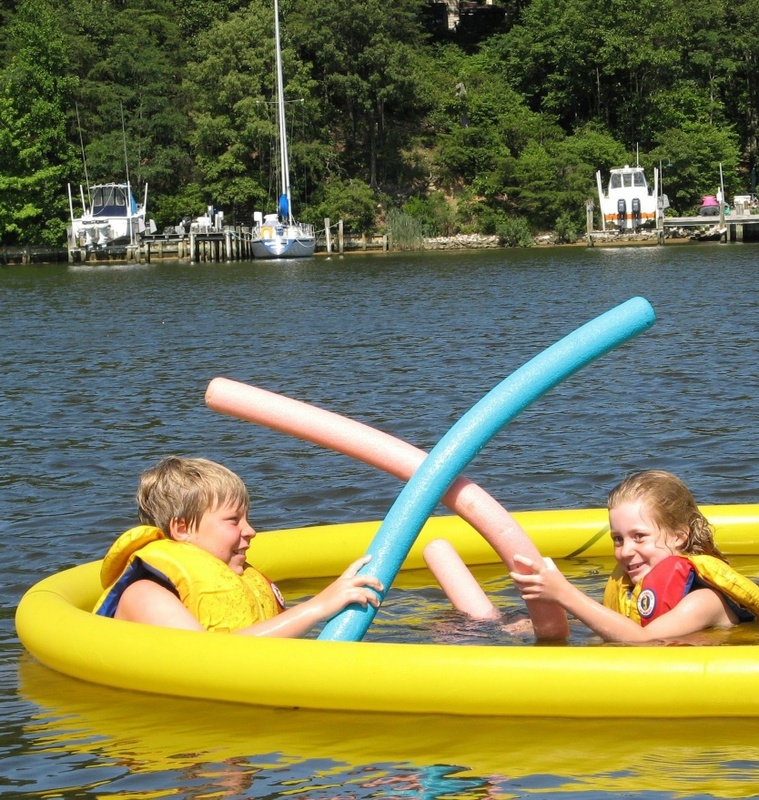 Nettle Net Boat Pool - 8 Foot Pool creates a jellyfish free protected swim area. 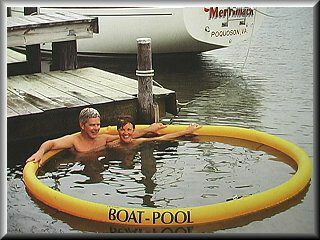 The 8 foot diameter “hot tub” pool is a perfect non-swimming size jellyfish protection net pool. 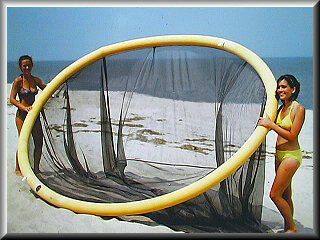 Weighing only 5 pounds it stores in a tiny net bag about 10 inches in diameter. With an area of 50 square feet, it is great for enjoying a delightful moonlight dip on quiet, warm summer nights. Hold this pool in the palm of your hand! SORRY - we are sold out of the 8 Foot Pools for the season. Above: Nettle Net founder Dave Dianich relaxes in one of the original 8 foot Nettle Net BOAT POOLS (left) while his daughters display an 8 foot pool on the beach (right).